I was tired. Not just physically, I-really-need-a-power-nap, set the alarm tired. Tired as in, "I'm so emotionally and mentally exhausted that I can hardly get out of bed in the morning." Tired as in, "I'm not sure if I can continue at this pace, in this brain, with this amount of overthinking." From the outside looking in, I was going through all of the right motions. Meditating before I went to sleep - check. Trying to recognize moments of gratitude during the day - check. Encouraging friends and family to spread their light and love their truths - double check. But on the inside, I was killing myself ever so softly. The hardest part about coming to grips with my anxiety and depression was that I didn’t feel like I even deserved to feel this way. I came from a loving, supportive family and grew up in a safe neighborhood. I didn’t have an absent father or an emotionally inept mother. My grandparents were the lights of my life and God was continually showing up for me in more ways than one. I did not deserve to feel sad, anxious, and mentally weary day in and day out. I did not deserve to experience the symptoms of depression so deeply that, at times, I was unable to hold simple conservations or sustain meaningful relationships. It is lies like these, the secret ones we tell ourselves, that are responsible for holding back our recognition, acceptance, and subsequent healing. Dealing with physical and emotional trauma as a young adult ended up exasperating the tendencies that already existed under the surface. I suffered a random, violent physical attack in my early 20s that left me with the scars, bruising, and hospital visits to prove it. The physical wounds eventually healed on their own - the emotional ones did not. I previously thought that PTSD was reserved for real heroes, who suffered from “real trauma”...soldiers, public servants, unrelenting activists. It wasn’t until a routine checkup (for previous brain swelling, among other things, from the attack) that the doctor questioned what I had been doing to heal mentally. Pause. My idea of therapy was sitting on an old velvet chaise lounge while a Caucasian man in his late 50s asked me, “how do you feel about that”. I was in denial of how much help I needed, and I was angry. I wanted to be brave enough to fix this on my own. It could’ve been much worse! I wasn’t raped, or permanently maimed. I could get past this! The reality was, it had been over a year since that night. I still had weekly nightmares, had caused the demise of my own social life and friendships, and ended up engaging in a codependent relationship that left me more damaged than it found me. I eventually left the relationship and made some progress in my personal life but continued to push away people who truly wanted the best for me. Later, it had been over two years since the attack and I was still a sad, super anxious, overthinking, anti-social, unmotivated mess. I finally realized that I could not get past it any of it, not on my own. My first day of therapy felt like an awkward first date. I was blessed enough to find a highly recommend black woman psychotherapist practicing in my area. It was so much different than I had expected - she was warm, personable, and never asked me “how do you feel about that”. It wasn’t just me dumping my problems out to a silent, head-nodding authority; we proceeded to have a real, honest conversation. 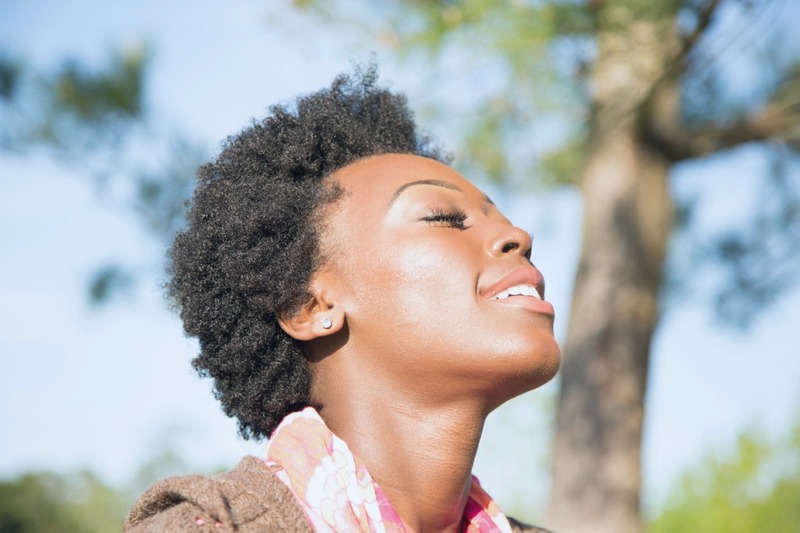 To be able to share my innermost feelings with another black woman made me feel as though taking this step towards inner peace was not something foreign, or undeserved. I felt supported and strong. There is strength in taking hold of the hardest parts of your life by recognizing how much of an effect they have on your daily existence. There is strength in realizing that you need help tackling the speed bumps of your mental health journey and in proceeding to seek that help. Going to therapy was a deeply personal choice. It was an important step for me to recognize that as a black woman, there are certain trials that I’ll deal with at the intersection of gender and race that some people will never understand. It was important to realize that aside from societal pressures and constraints, going through further trauma in my own life was a burden that, at times, was entirely too heavy to carry alone. I’m still attending sessions, and I’m still working towards being cognizant of mindfulness and well-being in all areas of my life. It isn’t easy, and there isn’t a new epiphany every day. What there IS is an innermost calm in knowing that I can better recognize my triggers when they first occur and meet them where they start. There IS a subtle confidence in knowing that I do deserve to feel whole, loved, and happy. There IS a steadfast faith in knowing, without a shadow of a doubt, that I deserve healthy and mutually respectful relationships, and what’s truly for me will always be within my reach. Cheers to the grace that’s found in taking care of self, simply because we deserve it. Brittany Johnson is the creator of codeREDD&co. and works in community marketing and content creation in the Bay Area. Passionate about authenticity in wellness and self care, her writing is heavily inspired by the peaks and pitfalls that come as the result of being a black woman working to manifest her purpose.